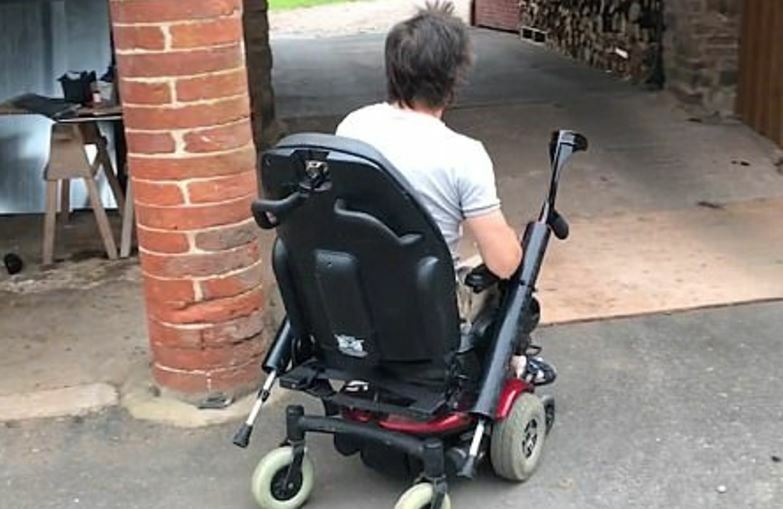 Richard Hammond – the man seemingly with 9 lives – has been showing off his new mode of transport. 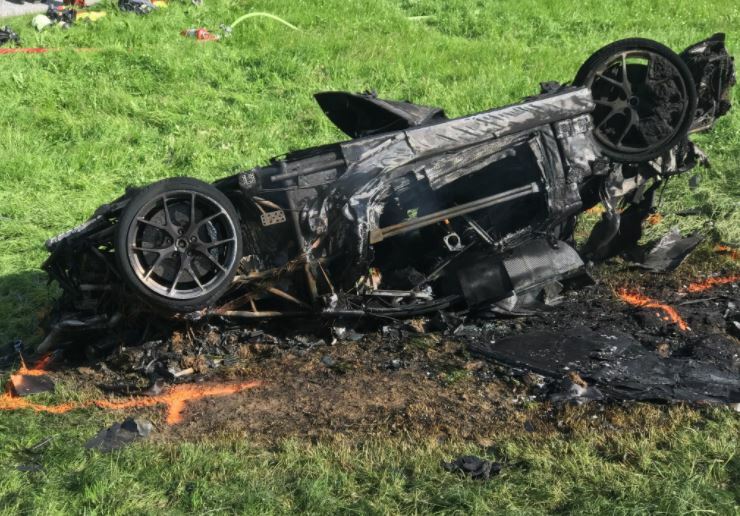 The video comes just weeks after his horror smash in Switzerland, whilst filming ‘The Grand Tour’, where his electric car burst into flames after crashing at 120mph. Luckily, the 47-year-old managed to escape just moments before and escaped with just a broken knee. The damage he sustained required surgery, and the TV star had a number of pins inserted into his knee. 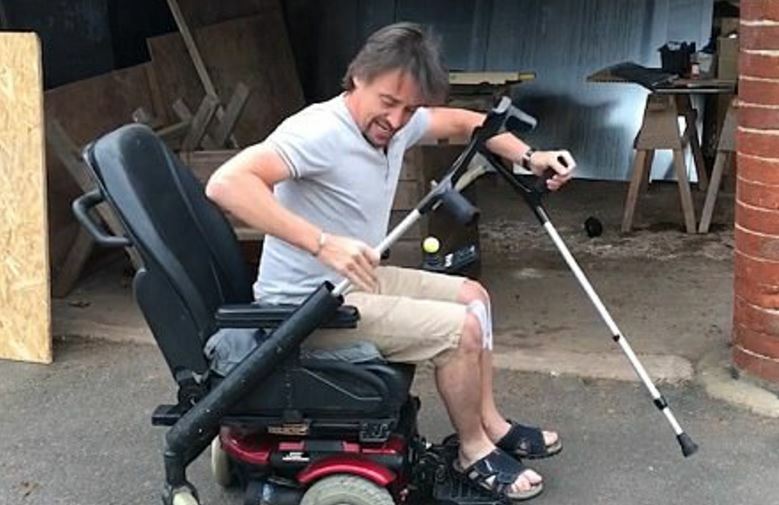 In the video though, Hammond can be seen walking about on his crutches before hopping onto the new ride. It’s safe to say I think his family will be happy with this current mode of transport! Here’s the latest video from Hammond. Appearing in his traditional jolly mood, Hammond enthusiastically describes the new customised electrical vehicle to fans. He shows viewers the new ‘crutch holders’, as well as the ‘massively improved ignition’ before driving off into the distance. Hammond left hospital in St Gallen, Switzerland, after doctors declared he was fit to leave, with his wife Mindy who has been at his bedside. Speaking on the day after his crash, the former Top Gear presenter apologised to his wife and daughters from his hospital bed. Hammond explained his injuries and thanked co-star James May for ‘sneaking gin in’ to the hospital for him in a light-hearted video on Drivetribe. Yes, it’s true – I binned it – again. I’m here, in a hospital in Switzerland, this is my knee, that they’re going to turn from this, into this. I’d like to thank all of the medical professionals who got me by air ambulance from the crash to this hospital and dealt with me ever since. I’d like to say thank you as well to James May, who smuggled gin in for me last night – I shouldn’t have said that out loud. And most importantly, sorry to my wife, Mindy, and my daughters, Izzy and Willow – I’m sorry for being such a colossal idiot. More news later! It’s not the first time ‘The Hamster’ has had a brush with death. 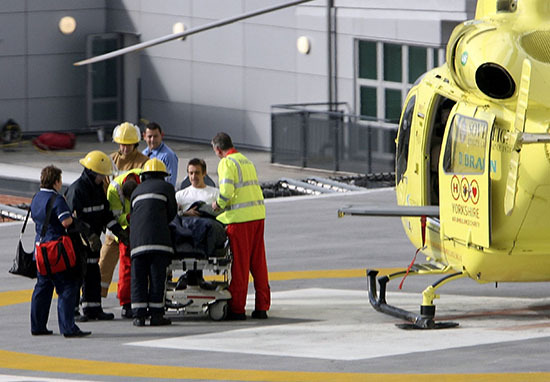 Back in 2006, he sustained brain injuries after crashing in a 288mph rocket car and stayed in hospital for five weeks. 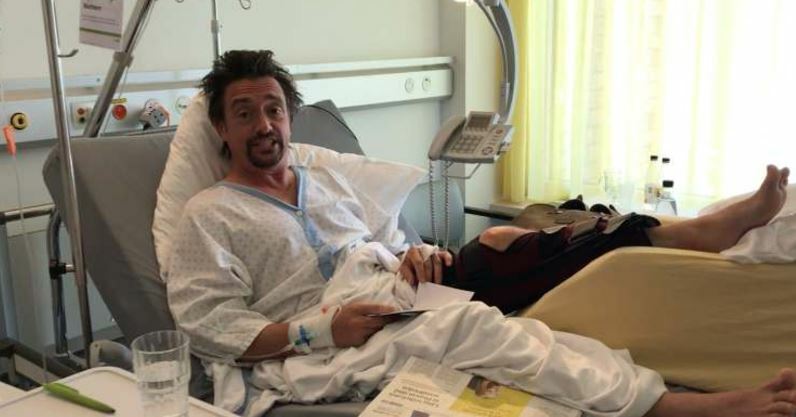 Although no where near as serious, Hammond also had an accident when filming in Mozambique – he toppled off his motorcycle and banged his head. Grand Tour producer Amazon later released images showing the burnt-out wreckage of the car laying upside down on a hill. The crash is happened on a road that was closed for the Bergrennen Hemberg race and luckily, nobody else was hurt in the incident. Here’s to seeing the Hamster back to full health – just don’t go too fast on that wheelchair Richard!